A beautifully textured fine silver leaf hanging from a black silk thong and a silver omega chain. This combination allows you to wear the necklace with the silk thong or omega chain or both at the same time. 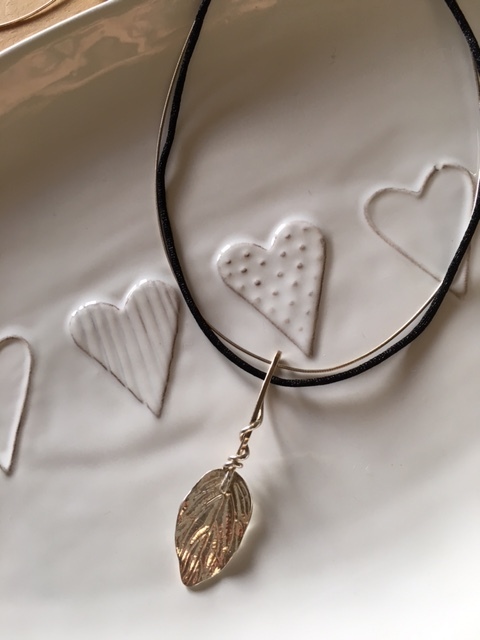 The leaf is hallmarked with my makers mark by the London Assay Office and measures approximately 2cms width by 7cms in length including the handmade hanging loop.